The princess of Latin American literature returns with the legendary love affair between Hernán Cortés and his interpreter, Malinalli. When Malinalli, a member of the tribe conquered by the Aztec warriors, first meets Cortés, she -- like many -- believes the conquistador is the reincarnated forefather god of her tribe. Naturally, she assumes that her task is to help Cortés destroy the Aztec empire and free her people. The two fall passionately in love, but Malinalli gradually comes to realize that Cortés's thirst for conquest is all too human. He is willing to destroy anyone, even his own men, even their own love. Throughout Mexican history, Malinalli has been reviled for betrayal of the Indian people. However, recent historical research has shown that her role was much more complex; she was the mediator between two cultures, Hispanic and Native American, and two languages, Spanish and Náhuatl. 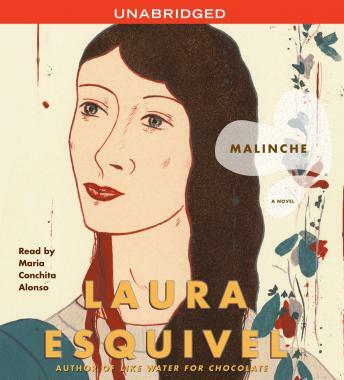 An extraordinary retelling of this passionate and tragic love affair, bursting with lyricism and vivid imagery, Malinche finally unveils the truth behind the legend.